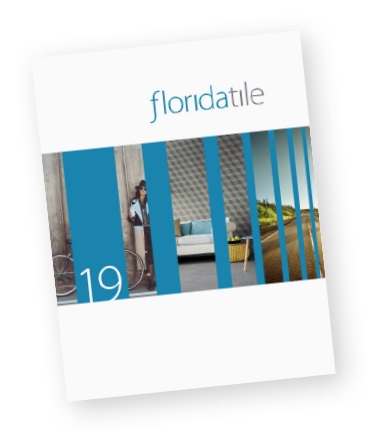 Florida Tile respects the privacy of every individual who visits our web site or otherwise interacts with Florida Tile. This Privacy Statement states how Florida Tile will collect, use and disclose information it collects from you. This Privacy Statement may be modified at any time at Florida Tile’s sole discretion. You may choose to provide us with personally identifiable information about you (such as name, mailing address and e-mail address) and your interests. If you choose to share such information with us, we may store it and use it to provide you with an individualized user experience and for marketing research and other purposes. Sometimes, we may collect non-personal information about you in the form of anonymous data, which is for Florida Tile's use only and is not disclosed to any other party, except in aggregate form. Examples of this information include the length and time of your visit, the pages you looked at on our site, the type of Internet Browser you have and the site you visited just before coming to ours. We use this information to develop ideas for improving our site and to measure site activity. Florida Tile may establish relationships with reputable business partners that allow visitors to our site to navigate directly to sites operated by these partners. You may use such “links”, but do so at your own risk. Florida Tile is not responsible for the content or privacy practices of third party web sites that may be linked to on this site. These links are meant for the user's convenience only and do not constitute sponsorship, endorsement, or approval by Florida Tile of the content, policies, or practices of such sites nor any products or services which may be offered through that site. Once you have left the Florida Tile site via such a link, you should check the applicable Privacy Statement of the third party site. Your personally identifiable information is kept in a secure datacenter and is accessible only to authorized personnel as needed to perform operations governed by this Privacy Statement. Please keep in mind that despite these measures, Florida Tile cannot guarantee or warrant 100% security of its servers and databases. Moreover, Florida Tile cannot guarantee that personally-identifiable information that you submit through the Site will not be intercepted. Florida Tile has no intention of collecting any personal information from individuals under 18 years of age. If a child has provided us with personal information without the consent of a parent or guardian, a parent or guardian should contact us at privacy@floridatile.com and will we use reasonable effort to delete this information from our files. If you do not want your personal information collected by Florida Tile or shared by Florida Tile with any affiliates of Florida Tile, or if you would like to delete your account, please contact Florida Tile at privacy@floridatile.com and we will use reasonable efforts to delete your information from our files. Please note, however, that your personally-identifiable information is the basis for your account and your election to not have it shared or collected will result in the deletion of your account. Material changes to Florida Tile Internet Privacy Statement will be posted in this notice. Last updated and effective as of September 10, 2018.